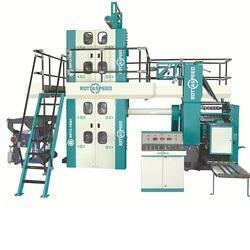 Pioneers in the industry, we offer 4 high tower newspaper printing machine from India. We are engaged in the manufacturing, supplying, retailing and exporting of optimum quality 4 HI TOWER Newspaper Printing Machine. Offered Newspaper Web Offset Printing Machine is manufactured in compliance with the industry set norms and parameters using latest technologies. These are fabricated by precious components which are designed by experts.